Summer is over. School has started, vacation is a series of line items on next month's credit card bill, and pulling out the sweat pants is moving up the to-do list every day. And there's no time. Life is suddenly running much faster; the calendar is positively blooming with not to be missed appointments, project due dates, and overlapping schedules. You don't need to check it to know that reading for pleasure is nowhere on it. But there is a way to sneak in some freestyle reading without having to be reintroduced to all the characters whenever you get a few free minutes to pick up the book. Consider the e-shorts. With the growing popularity of e-readers, thousands of authors have begun offering short stories and novellas, lovely little bites of fiction that I had thought almost extinct. Whether from an established writer playing with characters between novels or a gifted new author, a well-written story can deliver a satisfying punch in a couple of hours or less. Not every author can write a good short story, although many people seem to think that almost anyone—they, for instance—can easily toss one off in an hour or so. But in the ocean of stories and novellas in need of a good editor that appear every week, a few pearls keep me going back for more. Here are some short singles and series I've enjoyed lately, from authors well-known and not-so-very. Like a little fantasy and humor in your shorts? Check out Frank Tuttle’s Markhat stories. These tongue-in-cheek noir mysteries always leave me smiling, despite a few typos. His protagonist is a hard-boiled Finder in a thinly-disguised New Orleans, where many of the upper crust are vampires or sorcerers. Markhat is none of these, but daily rubs shoulders with wise women, trolls, trollops, and others dubious characters more or less human on the seamy side of town. Dead Man’s Rain, in which a revenant is inexplicably haunting his old home and terrifying his widow, is the first in the series. If you prefer a more cerebral challenge in the leisurely and mannered style of the Golden Age, take a look at Stephen Leather’s scrupulously fair-play Inspector Zhang stories, all studded with frequent references to classic mystery authors and tales. The author seems to be working his way through all seven of John Dickinson Carr’s possible locked room scenarios, although Inspector Zhang of Singapore makes a curious Dr. Gideon Fell. I personally find the explications a little dry and unlikely, but feel the same way about Carr’s; and the puzzles here are true to the Master. The first, Inspector Zhang Gets His Wish, has an unattractive typeface and spacing problems, but these issues have been corrected in the later stories. The first victim of the Trojan War was a young woman deliberately tricked to her death by her own father. No mystery here, but this lyrical and harrowing stand-alone tale takes place in Iphigenia’s mind during her last day, with flashbacks to earlier events in her short life. If you relish a touch of bittersweet, Rachel Swirsky’s A Memory of Wind will linger like a piece of rich dark chocolate on your tongue. For nature lovers, Annis Ward Jackson’s Rachel Myers semi-cozy novellas, set in the Blue Ridge Mountains of Appalachia, can be as addictive as popcorn. The author clearly knows and loves this haunted, story-soaked country; and sometimes touches—lightly and deftly—on the many environmental issues that plague the area. In Blind Malice Rachel, returning to her birthplace to bury her blind father and arrange for the running of his farm, discovers that he may have been murdered in a particularly cruel but unprovable way and that his financial affairs are in severe disarray. She and Isaac, her father’s octogenarian friend and farmhand, set out to find the killer and save the farm from salivating creditors. Old grudges and new money cast long shadows in these lovely mountains. Great imagery! Serve with spaghetti in red sauce with, er, lumpy bits for best effect. Senese is a Canadian author who has e-published a large number of single shorts across several genres, most with at least a touch of horror. Let’s round this out with a couple from that grand master of grit and mixology, J.A. Konrath. In With a Twist, Lieutenant Jack Daniels must solve a locked room mystery in which the corpse is found dead in his living room—of a fall from a great height. Very puzzling. In Street Music, one of the better shorts I’ve read in years, Phineas Troutt pulls off a slick scam to afford the pain medication for his cancer, cleverly saving a girl's life in the process. I don’t think Konrath could write a bad story if he tried, although publication of his widely anticipated first cozy, With Little Pink Umbrellas, has apparently been delayed again. So there you have them, a handful of stories that don’t require much time to read and won’t break the bank to buy. 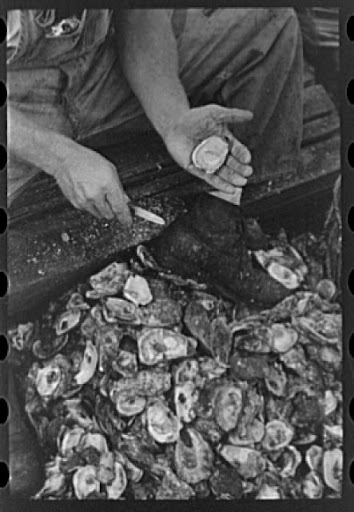 I shucked a lot of oysters for these pearls, and met some authors and characters well worth following. If you have any favorite little shorts, I’d love to hear about them! There are several of Rachel's adventures uploaded to my kindle. Your report has given me a short pause in my usual reading and sent me to some Anna Ward Jackson's stories. 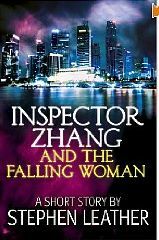 Inspector Zhang sounds like a very interesting fellow as well and his mysteries are available for a very good price in the Kindle store. I picked up two and will be reading them shortly. In short, I don't think you can go wrong with any of the selections you spread out before us. Thanks !